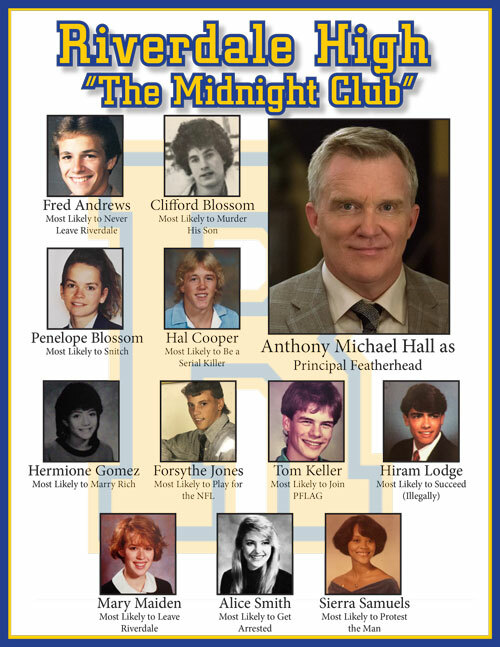 Anthony Michael Hall will be playing Principal Featherhead in the Riverdale flashback episode "The Midnight Club"
Riverdale Season 3 will include a special flashback episode which will see the Riverdale parents in a flashback setting. The episode will feature the “kids” of the show (the younger cast, including KJ Apa, Cole Sprouse, Lili Reinhart, Camila Mendes, Madelaine Petsch & co.) playing their parents in flashback form. Some guests from the episode have been announced including Mark Consuelos’ son Michael Consuelos playing a young Hiram Lodge. 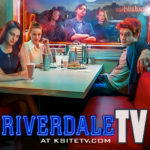 “The Midnight Club” is still a ways away from airing — the fourth episode of Riverdale Season 3, it is currently scheduled to air on Wednesday, November 6. To promote the episode, Warner Bros. TV and The CW have shared a fun piece of artwork showing what the actors playing the parents looked like “back in the day” — of course, now we want to see what it looks like to have their “kids” playing them. You can see that artwork below.